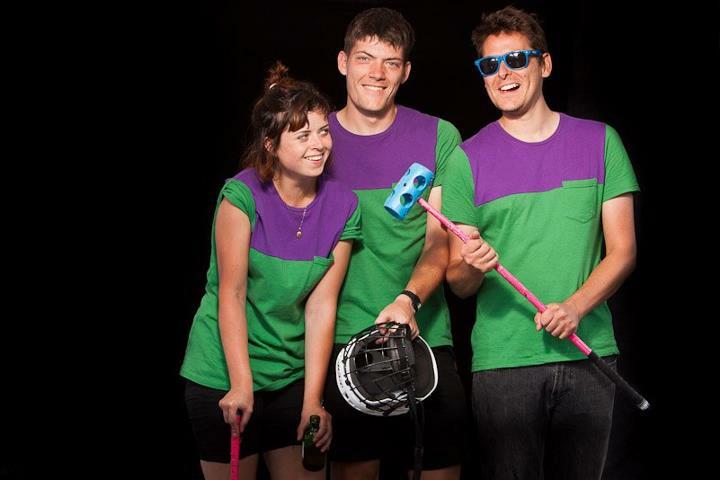 New Kids On The Block – WRISTS | Birmingham Hardcourt Bike Polo, UK. WRISTS started back in the spring where they began playing together under the name: Chain Gang, however, after some sour responses from the polo community and even sourer on-court results, the name was deemed to be a failure, into the bin it went. The original formation came about after we (Birmingham) announced that we would be hosting this year’s UK championships. Ourselves, along with fellow newbies Troika! and the long established Black Stabbath formed a Birmingham output matching our best ever tournament representation of three complete teams. By the time the tournament arrived ‘Chain Gang’ had vanished completely and been replaced with the more whimsical (appropriate) title of ‘Risky Business’ We played hard at the UK champs, but not well and lost all but one of our games. The team needed some re-shuffling. We had been playing mainly with Mya in goal, Neil caressing the half way line and myself (Matt) chasing down the play. This meant that we would often leave Mya exposed at the back to fend off shot after shot whilst myself and Neil struggled to close down the opposition. The name stuck this time, but the tactics began to change. The London Open was much better for all of us. We were less nervous, more structured and it showed in our results. We only bettered our UK champs performance by one 2:2 draw, but had a lot more closely contested games, scored more goals and had more fun doing so. Since the London Open however, a new name change has occurred. The team is beginning to gel better together and therefore win more games. to progress further we wanted a shorter, punchier name that our fans could shout at tournaments. The original idea was ‘Risks’. This was quickly dismissed by Neil who claimed it to be too serious, so instead we opted for WRISTS (Neil clearly understood the importance of a name that forces a prolonged smile on one’s face as it is pronounced). We invited other regions of the UK to come down and play team games in Birmingham last weekend, which was a great way to bring the scene closer together, improve our game and get loads of polo in. We won two of our five Swiss-rounds games beating SoYo polo 4-2 and Bristol’s Pop-tastic, Mate! 4-0. We then had our best inter-city derby game result against Black Stabbath narrowly losing 4:3 at the death. We played hard, but this time played well too. We’re improving as a team and cannot wait for Mya to get our new logo finished. *My extremly biased view is based on the fact that I am a member of the team and may not reflect reality. Finally a team as beautiful in person as they are on court.